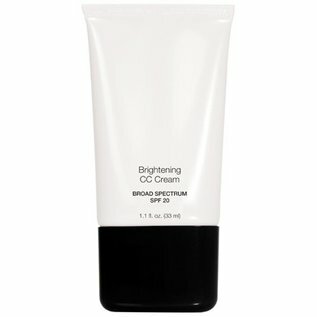 Brightening Creams Brightening CC Cream Medium - Carol Thompson Images, Inc.
What It Is Lightweight, oil-free, color correcting cream with broad spectrum protection. Micro-encapsulated pigments adapt to individual skin tones; skin nourishing and brightening ingredients help even tone, diminish imperfections and maintain a healthy, youthful complexion. Hypoallergenic, oil-free, paraben-free. What's Inside Chroma-Luminescent Technology is a novel molecule that helps to brighten the skin, leaving it healthy and glowing. Hydra-Extend provides instant, long term moisture retention and 72 hour hydration, reducing TEWL and strengthening skins barrier function. MicroBlot Technology is a built-in mattifier, with exceptional liquid absorbency, which targets oil to help eliminate shine. This unique micro-pore crystal structure has the ability to absorb liquid 5 times more than its own weight, leaving skin with a poreless looking demi-matte finish. Photonic Crystal Technology is a synergistic blend of color corrector, photo-lumininescent diamond and an optically transparent polymer. This blend of ingredients “offsets” wrinkles and other skin imperfections, subtly illuminating photo-luminescence. Multi-Mineral Complex helps to condition skin and provide antioxidant protection. How To Use AM. Apply daily over moisturizer or by itself, as needed. Wear alone or under foundation. Active Octinoxate 7.5%, Titanium Dioxide 5.0%. Inactive Water (Aqua), Dimethicone, Glycerin, PEG/PPG-18/18 Dimethicone, Butylene Glycol, Trimethylsiloxysilicate, Saccharide Isomerate, Tocopherol, Ascorbyl Palmitate, Rose Extract, Caprylic/Capric Triglyceride, Octyldodecyl Neopentanoate, Ethylhexyl Palmitate, Nylon-12, Boron Nitride, Dextrin Palmitate, Sodium Chloride, Aluminum Hydroxide, Polymethylsilsesquioxane, Glyceryl Polyacrylate, HDI/Trimethylol Hexyllactone Crosspolymer, Dimethylmethoxy Chromanyl Palmitate, Phytosteryl/Isostearyl/Cetyl/Behenyl Dimer Dilinoleate, Benzimidazole Diamond Amidoethyl Urea Carbamoyl Propyl Polymethylsilsesquioxane Lysine, Calcium Silicate, Palmitic Acid, Stearic Acid, Lecithin, Acrylates/Ammonium Methacrylate Copolymer, Triethyl Citrate, Acrylates Crosspolymer, Disteardimonium Hectorite, Xanthan Gum, Alcohol Denat., Methicone, Triethoxycaprylylsilane, Lysine, Potassium Chloride, Magnesium Chloride, Zinc Chloride, Sodium Hyaluronate, Sodium Dehydroacetate, Magnesium Ascorbyl Phosphate, Disodium EDTA, Caprylyl Glycol, Hexylene Glycol, Phenoxyethanol. May Contain (+/-): Mica, Titanium Dioxide (CI 77891), Iron Oxides (CI 77491, CI 77492, CI 77499).